NEW YORK: GCI Health has appointed Elliot Levy and Mary Kate Watkins to SVP roles in the firm's New York office. It is Levy's second stint at the firm, and he will focus on launching a corporate social responsibility offering. 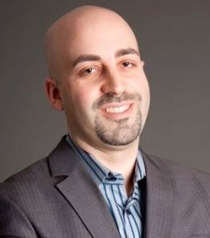 Levy began his career at the agency nearly a decade ago as an account executive. Most recently, he was a director at Kyne Communications, a firm that works to build partnerships between pharmaceutical, nonprofit, and government entities. Previously, he was a VP in Edelman's healthcare practice. Taking the SVP post represents “the opportunity to return home at GCI Health,” Levy said. The position will also give him a chance to combine and build on experiences from his previous roles. He will continue to focus on finding partnerships, while also assisting with specific product promotional support, he said. It's becoming more common for federal agencies like the Centers for Disease Control and Prevention and the National Institutes of Health to turn to the pharmaceutical industry to create programs and raise awareness about various issues. The trend has been spurred in part by dwindling budgets in a fiscally conservative era, and it's also being driven by consumers. “Among the public, there is a perception that the pharmaceutical industry needs to be part of the solution for healthcare problems and not just producing new drugs or products,” Levy said. GCI Health has also promoted Mary Kate Watkins to SVP in the New York office. With experience in beauty, aesthetics, and consumer health, she will help to expand those areas at the agency. Last summer, GCI Health promoted Kim Sammons to market leader of its Atlanta office. The Parkinson Alliance hired GCI Health earlier this year to raise awareness about Parkinson's Disease, as well as the group's 2013 Parkinson's Unity Walk, scheduled to take place April 27 in New York City's Central Park. This story was updated on April 2 to correct Levy's title during his first tenure at GCI Health.